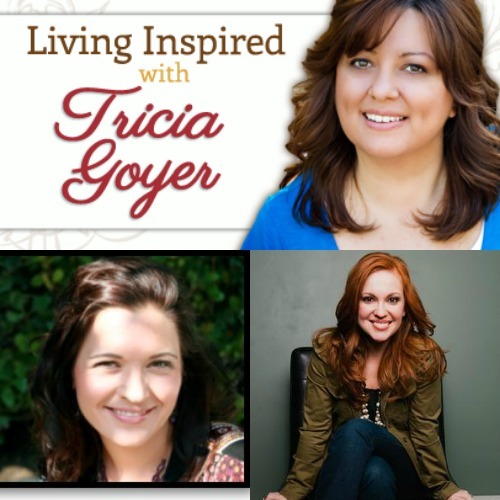 This week on Living Inspired, please welcome Holly Melton, author of Follow My Lead and Angie Smith, author of Chasing God. If you’re reading this after 6/26/14 you’ll be able to find this show . . . and all my shows in the archive section. For your chance to win a a copy of Follow My Lead or Chasing God, sign up below. Winners will be announced here on Wednesday. Holly A. Melton is a National Campus Director for Field Ministries for Cru (formally, Campus Crusade for Christ), overseeing more than 300 missionaries engaged in cross-cultural ministry. Her passions are to teach others how to walk in the Spirit, share their faith in a relevant way, and engage with teams on team dynamics and team functioning. Holly has traveled to over 25 countries with Cru teaching college students and other adults how to share their faith in Christ through conferences, retreats and training events. In addition to her work with Cru, Holly is also a certified life coach in leadership development, and a soon-to-be mother. Maybe you’ve never asked the question out loud, but you’ve wondered. You do the things that look good on paper: read your Bible, pray, attend study groups and go to church on Sundays. But you aren’t convinced you really know Him. Angie Smith understands, because she had run circles around the same paths searching for Him, frustrated at her lack of progress. And she probably would have continued to do so had it not been for one realization that changed everything. She wasn’t following God; she was trying to catch up with Him. So many requirements, so many rules, and so much guilt where there is supposed to be freedom. Three simple words changed everything for Angie, and she believes they can do the same for you. Stop chasing God. Thanks so much, Tricia, for introducing two new authors to me and a chance to enter the giveaway!! Hollie and Angie both sound like amazing young ladies working for the Lord through their God given talents! I really truly enjoyed the interviews and the reviews of both the books and I especially loved the quote from Angie……STOP CHASING GOD. Blessing to all you lovely ladies. I follow all of you on FB & Twitter and have signed up for all the blogs, etc.